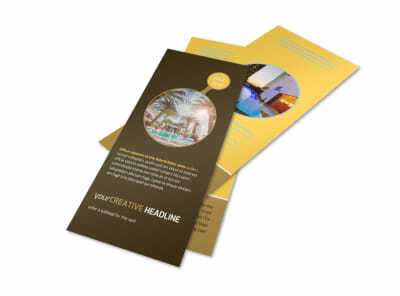 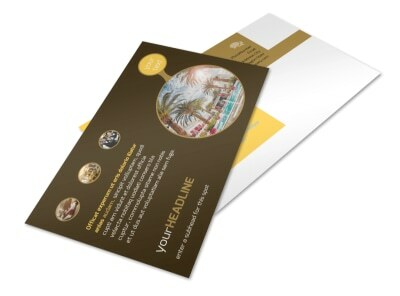 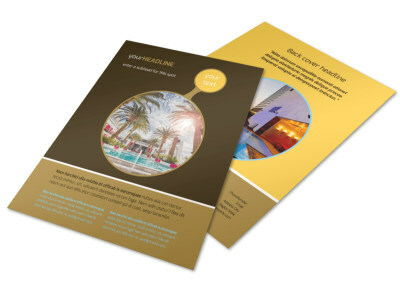 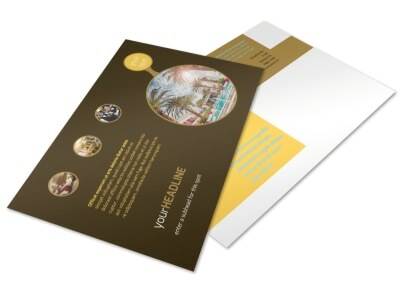 Customize our Luxury Hotel Flyer Template and more! 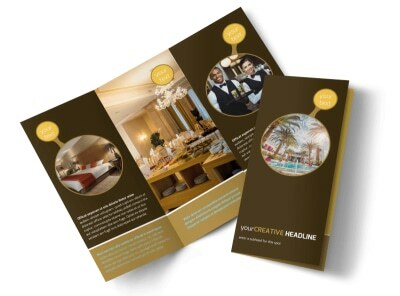 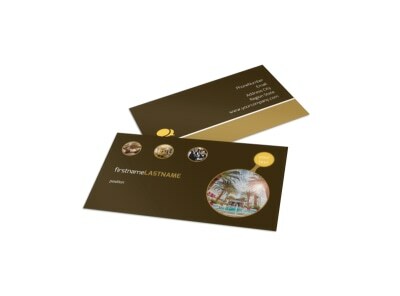 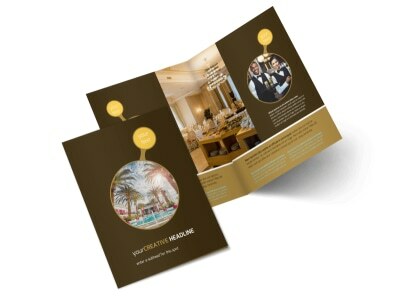 Keep rooms booked and profits inflated with luxury hotel flyers to market your upscale hotel property. 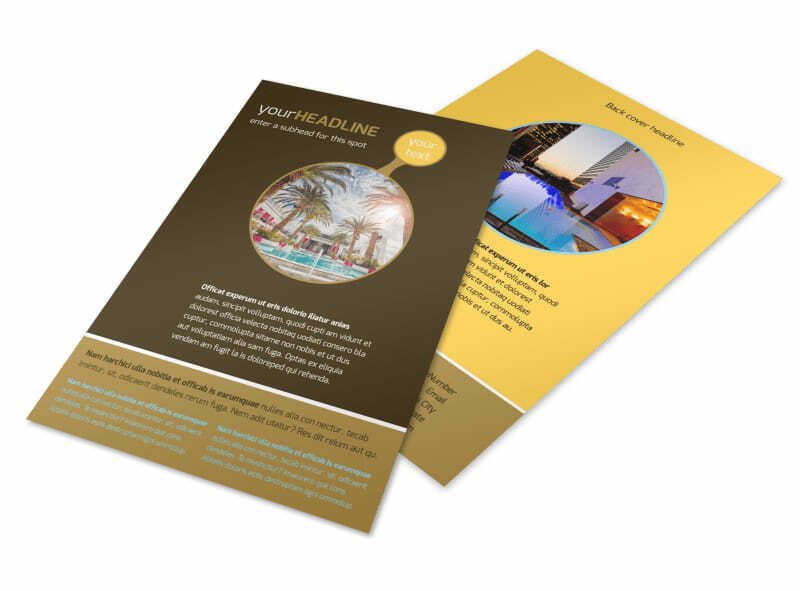 Our templates are easy to customize using our online editor, so you can add photos, graphics, and text with just a few mouse clicks. 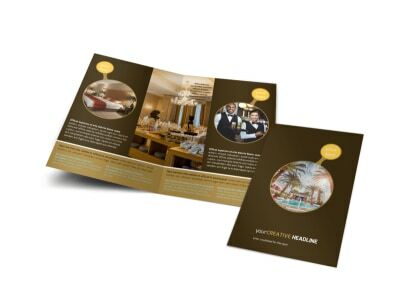 Print your finished design from anywhere, or opt for our pro printing services to save time and give your materials a professional edge.